If you’ve been in an accident or are in need of vehicle repairs, schedule an appointment with the Dover Honda collision center. We’ll get your vehicle back in working order in no time. Why Bring Your Vehicle to Us? Free Repair Estimates Available by Appt. Being in an accident can be scary and figuring out your next step can be daunting — we all need our cars and want them back as soon as possible! Taking the pain out of the car restoration process and getting a customer’s car back on the road is just as important to us as the car restoration work itself. From your first call to the body shop, one auto restoration team member will be your point of contact, guiding you through any auto body repair decisions that need to be made and keeping you updated on the progress of your auto body repair. And, due to our longstanding relationships with all major insurance carriers, we can navigate the insurance claims process for you too. No one wants to need our auto body services, so when our customers say it’s been a pleasure working with us, we know we are doing something right! Just call us. It’s as easy as that. 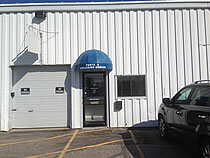 Drop your vehicle off at Dover Auto World, or we can pick it up for you. We will provide a fast and accurate estimate and work with your insurance carrier to ensure a seamless claim process. And, of course, our skilled auto restoration technicians will use state-of-the-art car detailing and auto body shop repair technology to make your auto sparkle. 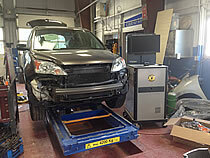 With over fifteen years of experience providing body shop, auto restoration and car detailing services to the Greater Boston community, we have built a reputation for providing a full spectrum of vehicle restoration services without sacrificing the highest quality standards. We have several auto body repair locations that make it convenient for you, so take the trip from Somersworth to our Honda collision center!